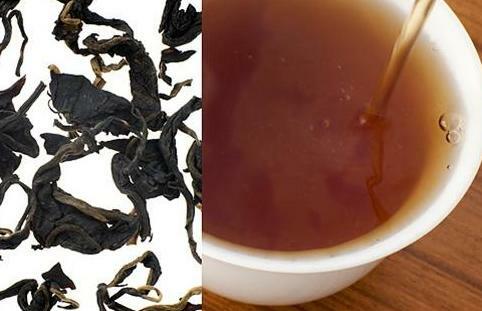 Flavor Profile: Thanks to the emerging terroir of Hawaii, this black tea’s flavor profile is completely different from that of any other tea. It is tremendously clean, smooth and refined, with no astringency or bitterness even when brewed for long periods. High-quality leaves brew into a crystalline amber infusion. A thin, crisp body yields delicate notes of mugicha (roasted barley tea), caramel, barley malt and rice syrup, with a slight taste of roasted sweet potato. Each sip warms, refreshes and reveals new dimensions of flavor. As I sit here, writing this, it is the first time tasting this amazing tea. I’ve known about it for quite some time, but it is a rare tea that seems to sell out very quickly… and it’s become available again only very recently. This was the first chance I had to order some… and I am glad that I did! I was quite reluctant at first, because it seemed a bit pricey to me. But after hearing so many people on Steepster RAVE about this tea, I HAD to bite the bullet and order some. And let me tell you – this tea is worth every penny. This is one of the best teas I’ve ever tasted. And it makes me so happy that it’s hard to contain myself to find the words to describe it for you. Yes, it’s really that good. It has a deep, rich sweetness to it that I would describe as a burnt sugar sweetness… SO GOOD. There is a bread-like flavor to it too, I’ve seen other people on Steepster describe it as a Rye bread kind of flavor, and I agree with that comparison. There is absolutely no astringency to this – which is rather unique for a black tea. There is also no hint of bitterness. Now I must come clean here and admit that I didn’t brew it according to the package directions… I went into “auto mode” and measured some of the leaves into my Kati tumbler. Because these leaves are ENORMOUS and curly it is difficult to measure the way I typically would (via tea spoon), so instead, I just eyeballed it. I allowed it to steep for 3 minutes, and the result is what sits in front of me now, and I’m quite elated with this cuppa. Plus, by the look of the leaves, I can get at least one more infusion out of this, possibly two! Next time I brew it I will use my gaiwan using shorter steep times and see if I can note any differences in flavor. Everyone should try this tea. Even if you don’t like tea, you should try this tea. Even if you don’t like black tea, you should try this tea. It is amazing!